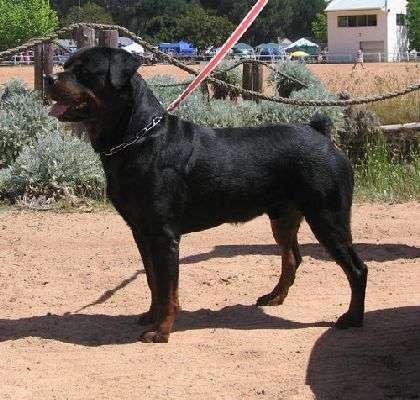 Bouka is a typical rottweiler male with a strong strong head and black mouth pigment. Bouka is owned by Osman Damon. Bouka was selected for his super strong character, (I personally watched him achieve his Aptitude Test Excellent score was was truly impressed with his character and temperament), he is very typical.